All of our used tires are first, visually inspected by our experienced tire purchasers, then air tested for 24 hours to ensure that they are ready to roll when purchased. All of our tires will pass inspection. Elite Tire International is offering quality, tested, used commercial truck tires for sale. We offer all tire sizes for medium to heavy duty commercial trucks. 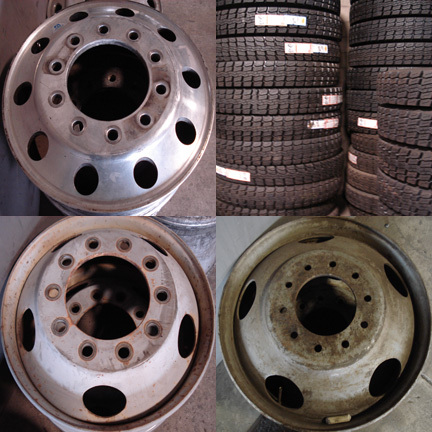 We can supply you with everything from used original tires, used recap tires, new recap tires, to brand new tires. Most of the major sizes run from $120 to $200 each. We also offer truck tire service. Our friendly and experienced staff can repair your flat tire and mount your tires on your truck here in our shop.